of Riedell Figure Skates and Figure Skating Boots. We specialize in figure skating & carry entry level ice skates as well as figure skating boots for elite skaters. New to figure skating? Not sure what figure skate would be best? Let us help you with our Figure Skate Comparison Guide. It provides the most comprehensive information on which figure skate would be best for your figure skating level. Not sure what size figure skate you wear? Let us help you find the best fit by teaching you How to Measure Feet for Skates. Please note: Due to high demand, most all sizes of the Riedell 223 Stride, 255 Motion and 435 Bronze Star are on backorder. All coupon codes will still be honored, but wait times are 3-4 weeks for these models. Well worth the wait! You will be contacted with estimated completion times after order placement. Thank you for your business! **FREE SHIPPING! On all orders over $49! 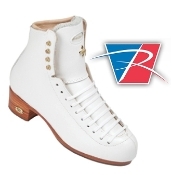 Kinzie's Closet carries a wide variety of Boys Riedell Figure Skates from the recreational ice skates to the more advanced competitive figure skating boots. Kinzie's Closet has a great selection of Girls Riedell Figure Skates and Girls Riedell figure skating boots. Mens Riedell Figure Skates & Mens Riedell Figure Skating Boots. 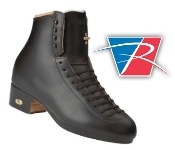 High quality figure skates and figure skate boots for men from beginner to advanced. Womens Riedell Figure Skates and Women's Riedell Figure Skating Boots. High quality figure skates and figure skating boots for women from beginner to advanced. will receive a PAYPAL REQUEST for extra shipping charges. 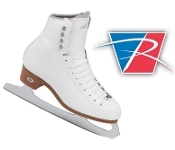 Kinzie's Closet carries a wide variety of Riedell Figure Skates from the recreational ice skates to the more advanced competitive figure skating boots. Riedell Figure Skates are one of the worlds leading skate manufacturers and are located in the United States. Riedell has been making quality figure skates for women, men and children for decades. There are a pair of Riedell skates available for every age, every skating level and every size. Riedell is on the only brand that makes figure skates for beginners in wide sizes. 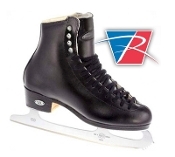 Coaches have trusted Riedell figure skates for skaters from beginner levels through advanced.